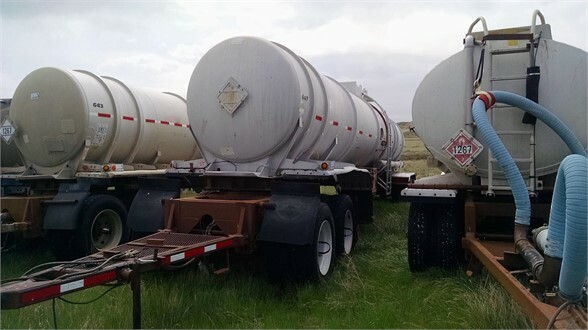 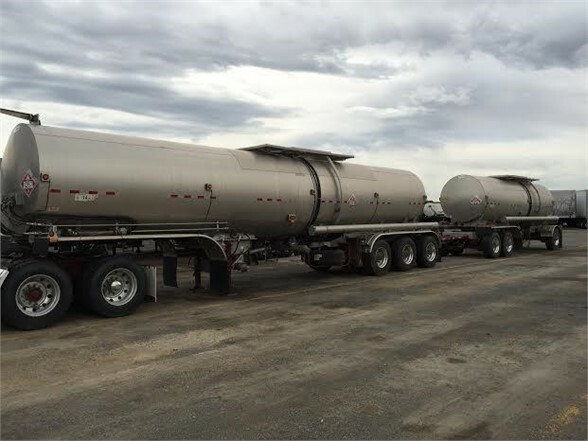 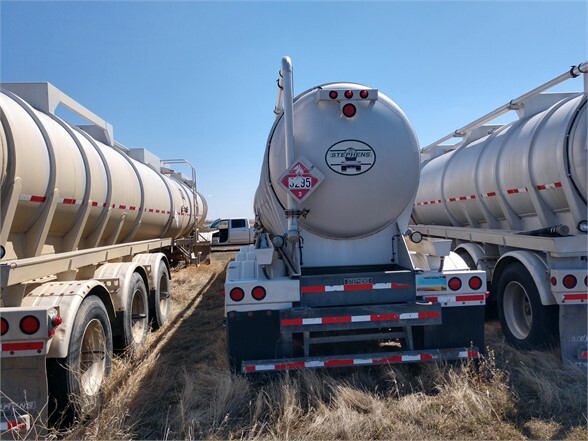 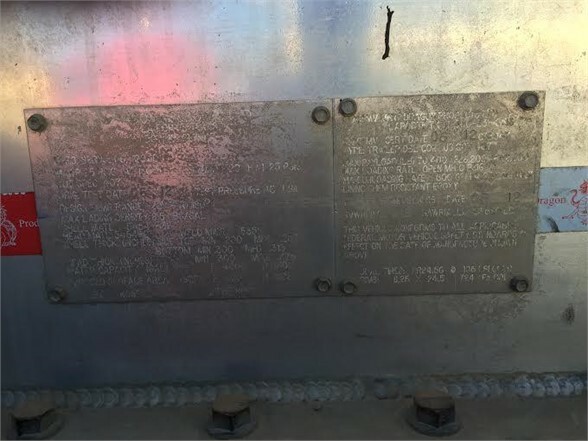 Crude tank trailers MC Codes 307 and 407. 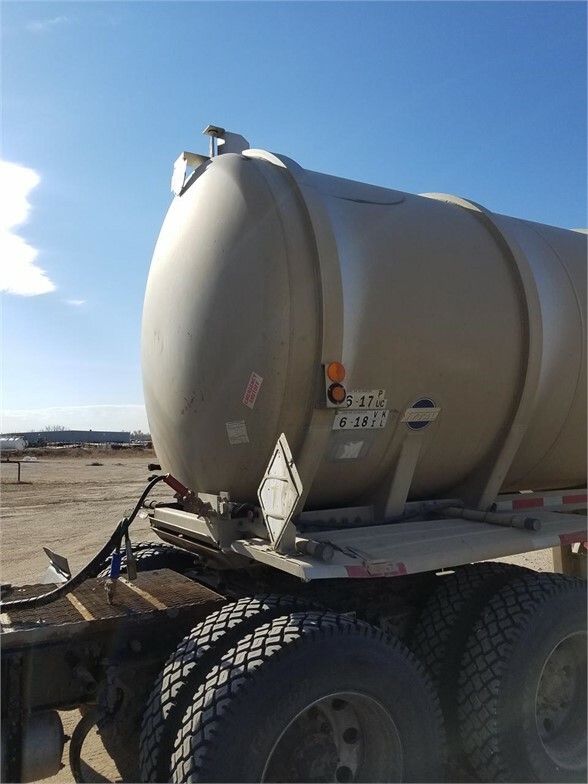 Polar, Heil, Fruehauf, and other. 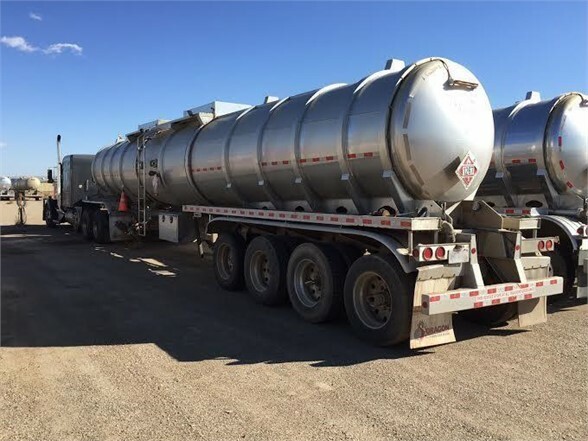 Crude tankers are always comprised of aluminum and range from 200-260 bbl (barrels) or 8,400 to 13,000 US gallons in size. 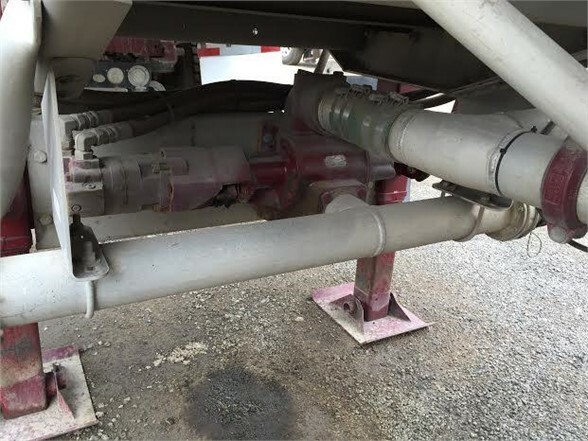 They are can be straight barrel or double conical. 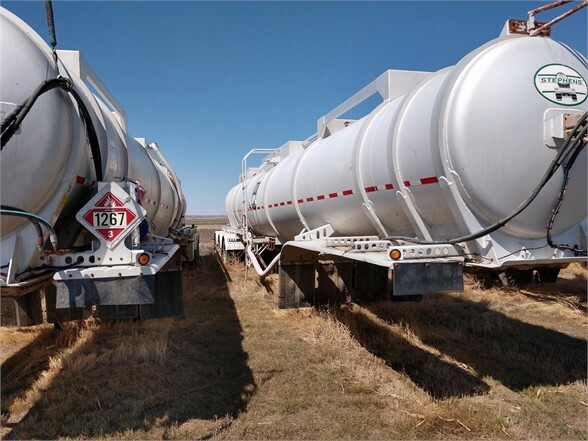 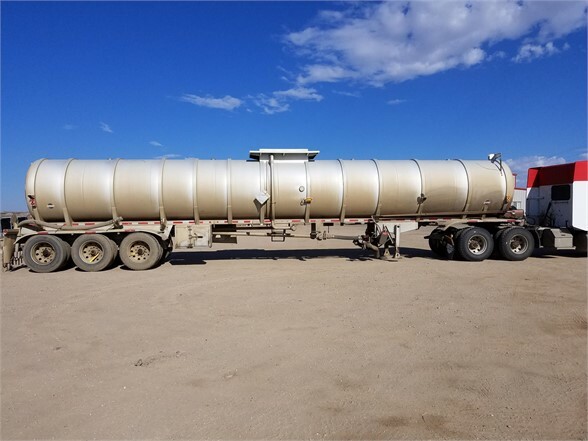 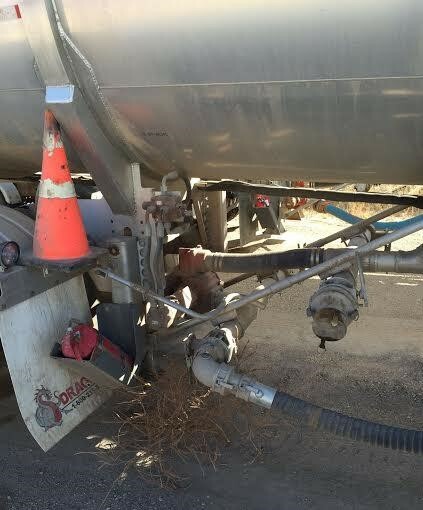 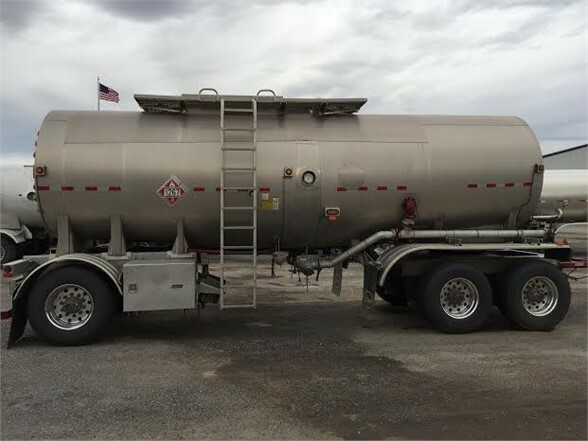 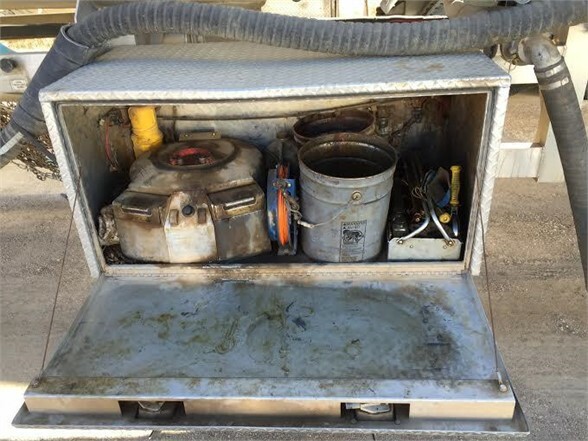 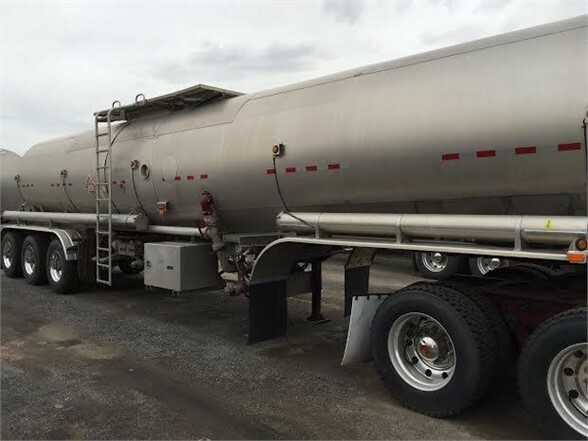 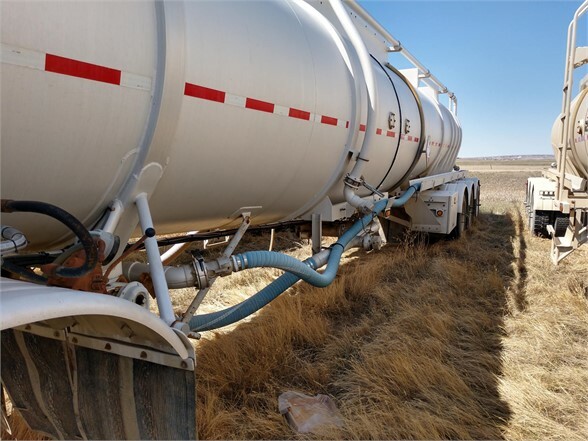 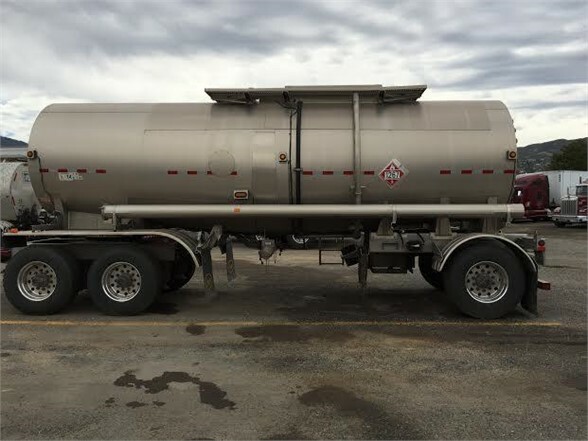 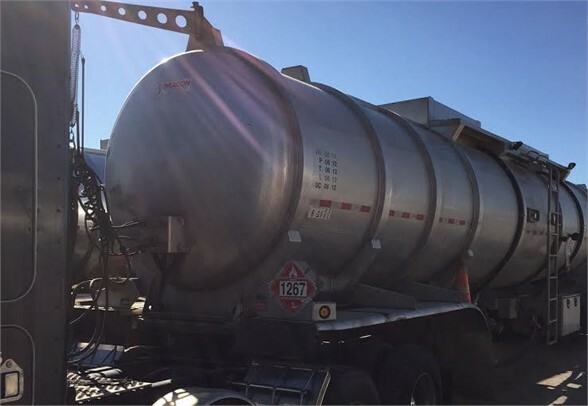 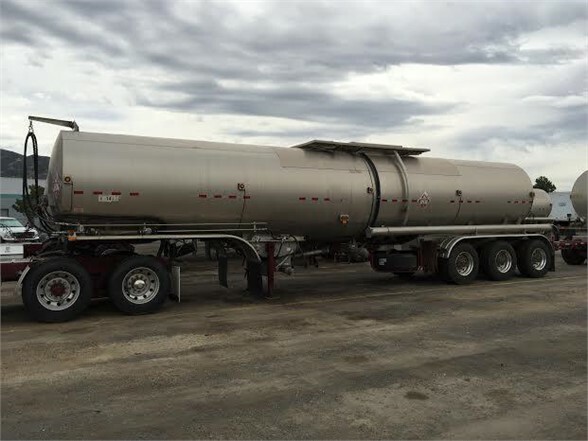 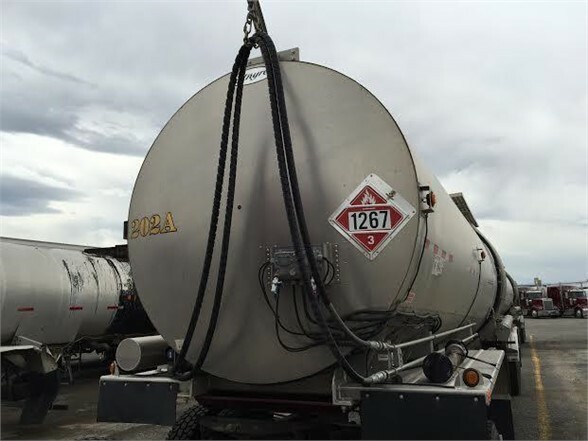 Crude trailer tanks typically have one compartment but some over 10,000 gallons have two. 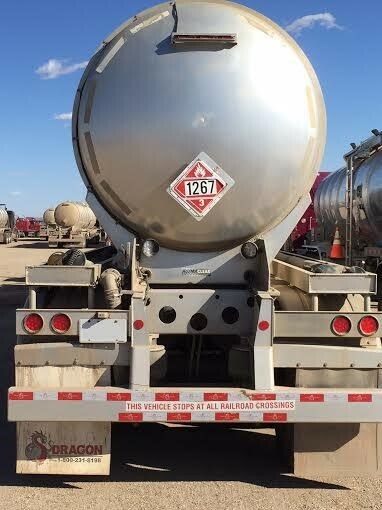 Crude oil will eat away at aluminum so each tank must have a liner to prevent corrosion. 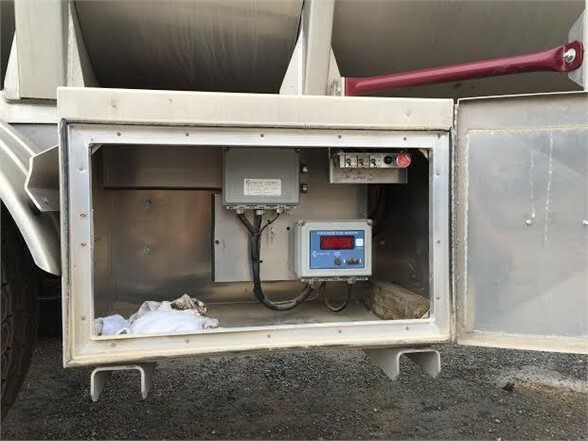 The tanks also include a centrifuge, pump, and Skully system. 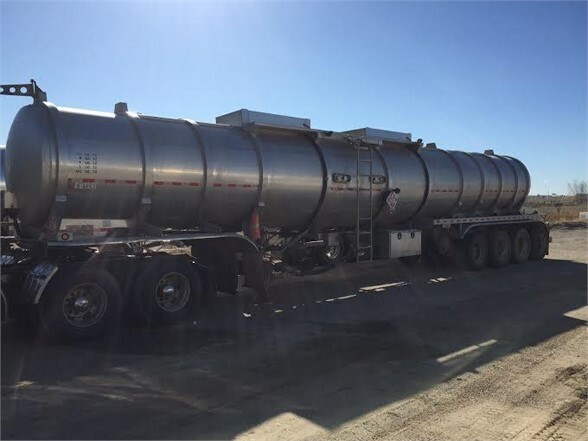 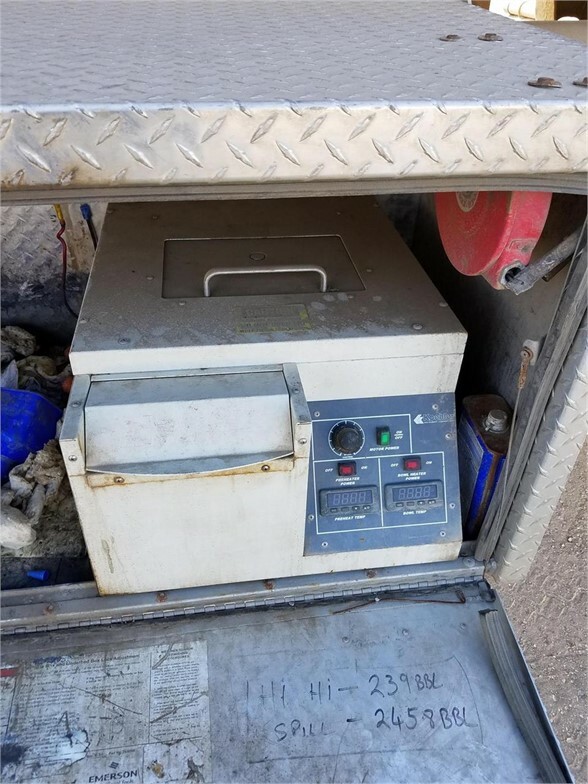 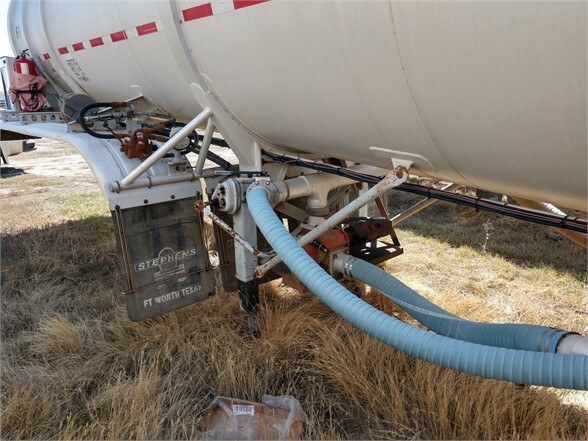 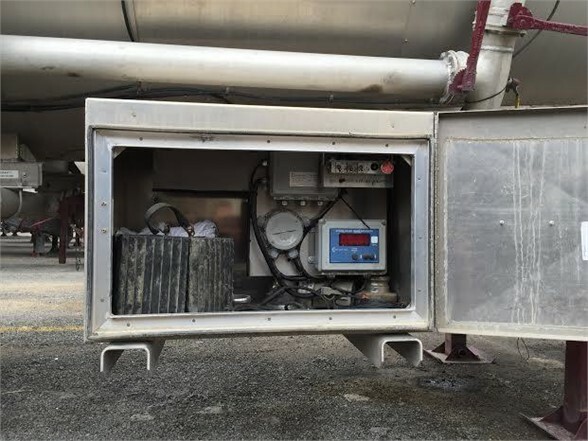 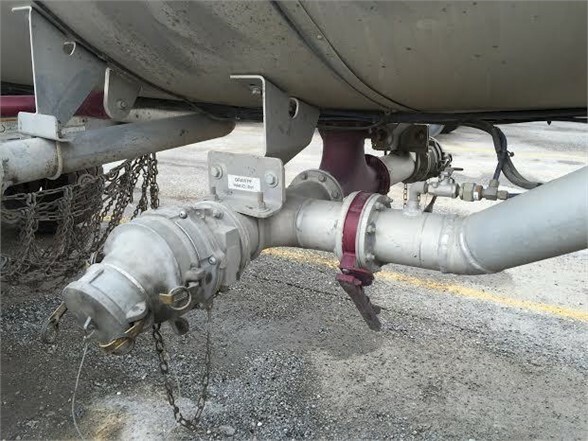 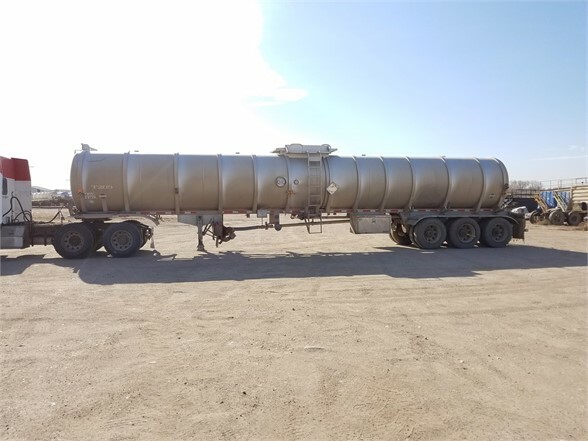 The centrifuge measures the quality of the crude that is being hauled, the pump will offload the crude, and the Skully system protects the tank from overfill. 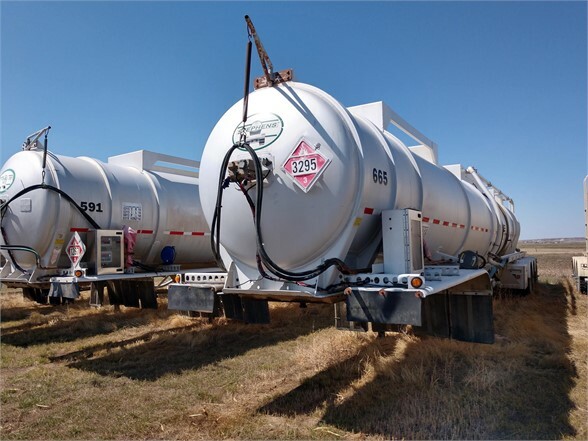 Standard loads include diesel, petroleum (gasoline), ethanol and kerosene.